It's depressing to know that no matter how much you recycle or upcycle there's still tons of garbage in existence and the worse part is there's only more to come. It's continuously being produced. There's garbage in the land, there's garbage in the oceans, there's garbage in our bodies (residues of kitchen plastics). Plastic is forever and "Life NEEDS Ziploc". There was that public outrage over plastic wrapped peeled oranges at Whole Foods which my initial reaction was upset as well but then I read a comment saying those are helpful for the elderly and disabled who can't peel fruits on their own. It's a constant battle though, convenience versus conservation. Things like plastic do make life easier and if used wisely, “have the potential to reduce mankind’s footprint on the Earth" For example, one study found that packaging beverages in PET (a type of plastic) versus glass or metal reduces energy use by 52 percent and greenhouse gas emissions by 55 percent. And, solar water heaters containing plastics can provide up to two-thirds of a household’s annual hot water demand, reducing energy consumption. If only everything was used wisely but it's a disposable world we live in. Things aren't, generally speaking, designed or meant to last. There's a saying in Spanish, "el que compra barrato, compra a cada rato" which translates to "He who buys cheap, buys very often." It must be the universal motto for mass manufacturers right? Such a negative vibe with this post I know but it's Earth day let's raise some awareness. No, raise as much awareness as you can. 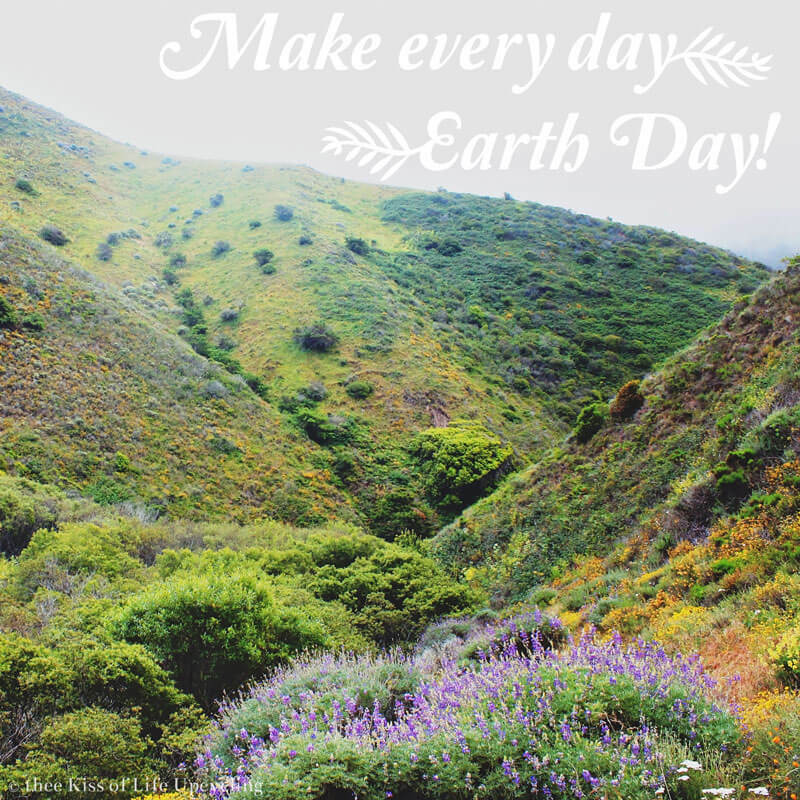 Do it every day because Earth day is every day and you inhabit this here magnificent planet. There are plenty of things you can do to help yourself live more eco-consciously. You try your best to recycle. Even if it feels futile, try and do. Re-use things as much as they'll allow. Buy used. Used stuff is less expensive, doesn't require new resources to be made so it doesn't generate pollution, doesn't require energy and doesn't have packaging (Top Reasons to Buy Used). Forget the "out with the old and in with the new" mentality unless it's absolutely necessary. When you have to buy new, choose energy efficient products. Buy things that will last as opposed to a similar item that wouldn't as much. Buy things that have value because you're supporting local small business or they're artisans and authors. Grow some of your own foods and eliminate packaging that way (also by cooking it at home and eating all of it). Prevent food waste that also ends up in the landfill by composting or donating what you know you won't use in time. It's not easy being green but in todays world with everything so accessible, it's definitely possible to try.